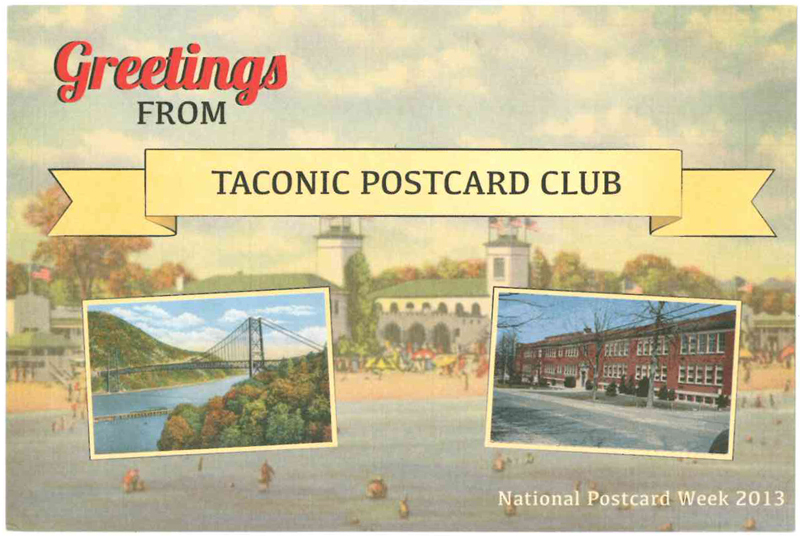 The Taconic Postcard Club was formed in 2002 to give regional postcard collectors the opportunity to share and learn about their hobby. Meetings are held on the last Tuesday of each month at 7:15 pm, hosted at the Yorktown Museum in the Yorktown Community and Cultural Center. 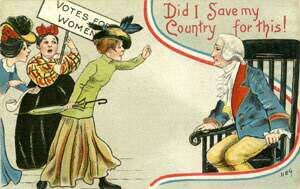 Postcard collecting, or deltiology, is an international hobby that is as old as the postcard. As early as 1869, a government issued postal card was approved and used for inexpensive business correspondence. 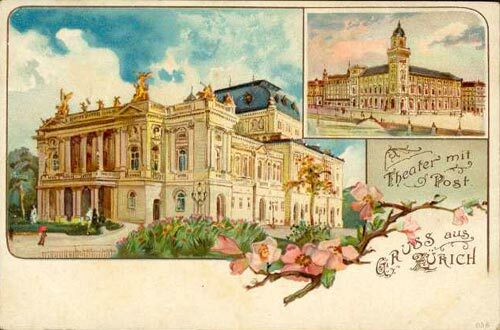 During the Golden Age of postcards, from the turn of the 20th century until World War I, postcards were produced around the world for a vast and literate population and changed the way that people communicated with each other. As the postcard evolved, its surface became a small canvas upon which local scenes, important events, images for every holiday of the year, illustrated and photographic artwork by anonymous and some of the best artists of the time were abundantly produced. Every simple occasion and every leg of a journey was reason to send a friend or relative a penny postcard with a one cent stamp. 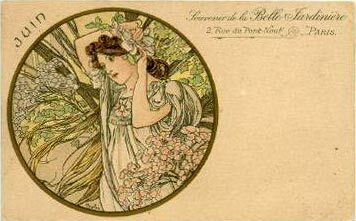 Publishers took advantage of the postcard craze and produced wonderful works of printed art, each attempting to outdo the other with special techniques that are unequaled today. The vintage postcards that survived, those saved in albums left in the attic or cast aside and pulled from shoe boxes in the back of the closet, represent the cumulative effect that postcards had on society one hundred years ago. It may be the beautiful artwork, the social commentary, or the recollection of local scenery or fashion long forgotten or changed that fascinates a postcard collector. Postcards are still being produced and relatives and friends continue to send greetings from their vacation haunts. Galleries, museums and exhibition events are announced on a postcard and free rack-cards found in restaurants and stores have found their way into new collections. With literally millions of different cards available collectors can always expand their focus. Non-collectors have discovered postcards as a wonderful source for artistic inspiration or to augment other collections as well as provide historical material for research and genealogy. Postcard collectors east of the Hudson River and from a five county radius -- Westchester, Putnam, Dutchess, Columbia and NY have joined the ranks. Please join us too. All interested in new and vintage postcards are welcome to attend and bring a card or material that represents your own collecting interests. 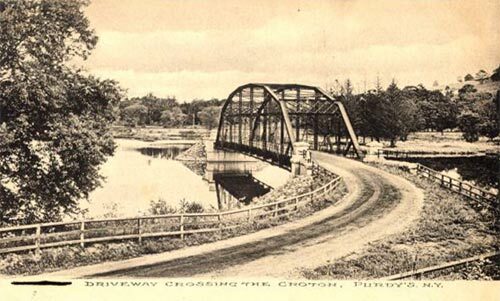 For further information, call the Yorktown Museum or a representative of the Taconic Postcard Club at (914) 737-0944 or email TaconicPostcard@optonline.net. the Yorktown Community & Cultural Center at 1974 Commerce Street, Yorktown Heights, NY 10598. All TPC programs are free and open to the public. Please join us for our next program! This page was last updated on July 30, 2013.